Jacksonville Restaurant Reviews: Home > Events > Pop Up Food Truck Takeover – This Saturday! After two incredibly successful rallies this past month, the Jax Food Truck Food Court has scheduled a “By Popular Demand” Pop Up Food Truck Takeover! This event will take place on Saturday, September 3rd, from 11-4pm at 11380 Beach Blvd, which is the Winn Dixie parking lot at the corner of St John’s Bluff and Beach Blvd. In addition to some of the best food in Jax, there will also be a cash bar, live entertainment, and vendors. They’ve invited 17 of Jacksonville’s premiere food trucks to attend, so without further adieu, here is your truck list! The Happy Grilled Cheese: This truck is the People’s Choice for best food truck in all four major Jacksonville publications, and for good reason! Take it cheesy with their Daddy of the Mac and loaded cheese fries or enjoy a S’mores Melt as a sweet treat! 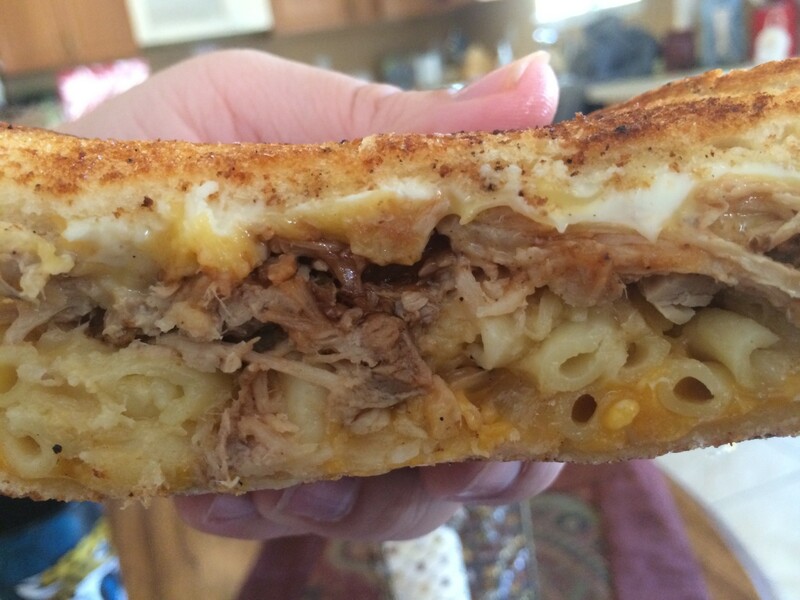 Pro tip: you can add macaroni and cheese to any sandwich and it’s some of the best mac around. Our fav order is to add it to the California Melt! Blue Pacific Tacos: Award winning tacos including the unique ribeye bulgogi tacos, sriracha beef, and Malaysian satay. Blue Pacific’s bold flavors can’t be found elsewhere! The owner Izzy has travelled the world to hone his culinary skills and brings globe trippin’ flavors to Jacksonville. We think tacos are the perfect food truck rally food, don’t you? 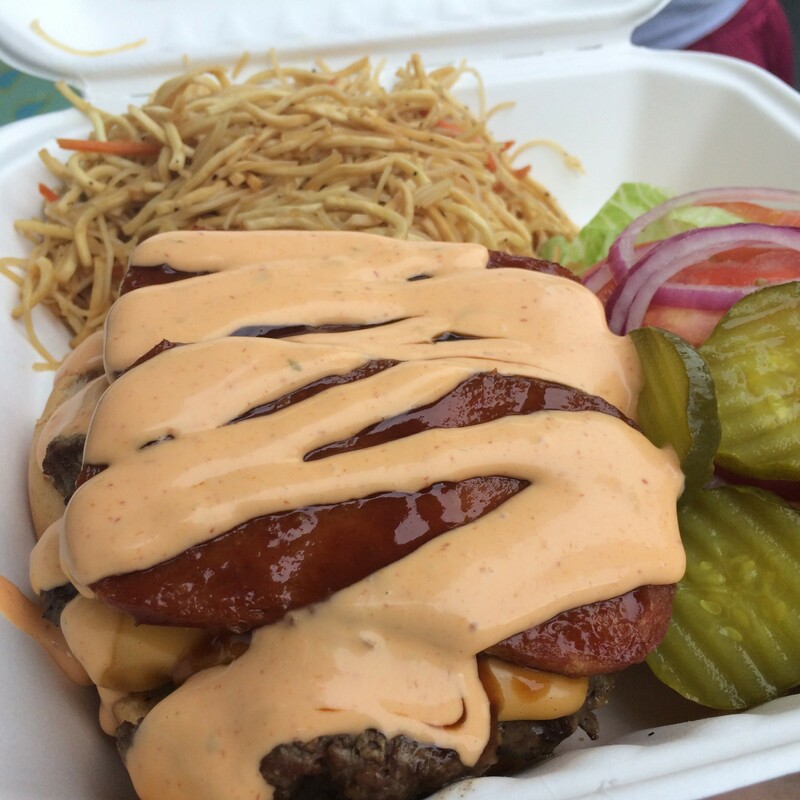 Hapa Li: This food truck took Jax by storm last year and they haven’t slowed down since. Tender pulled pork, chicken, and their signature spamiyaki burger give us on the mainland a taste of paradise! They’re also serving up handmade lumpia, amazing mac salad, and ginger slaw as side items, or enjoy specialty items spam musubi and dessert haupia can’t be found anywhere else! We love living the #hapalife! Front Porch Kettle Corn: Start your food truck rally adventure here for an appetizer! Fresh made sweet and savory popcorn, mouth watering spicy pork rinds, and southern sweet tea. Take home a few containers to snack on later – you will want it! Sweeto Burrito: It’s easy to see why Sweeto has so many dedicated followers – their burritos are some of the best in town! Be prepared to share, these are HUGE! The White Chick, Buff Chick, and Rise and Shiner are our personal recommendations, but you really can’t go wrong with any of their fresh and flavorful ingredients! 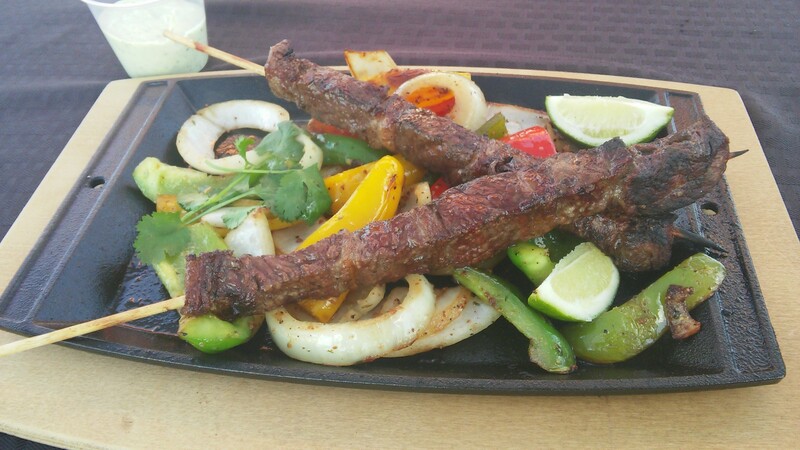 Delish Kebabs: You’ll smell these amazing grilled kebabs before you get to the truck! Serving up authentic and award winning Brazilian charcoal grilled kebabs, Delish Kebabs is taking simple food and making it extraordinary. Their bacon wrapped chicken was the winner of the 2014 Food Truck Wars! Don’t miss their yuca fries either. Kona Ice: Every flavor of shaved ice under the sun plus fresh ice cream equals a crowd pleaser for sure. 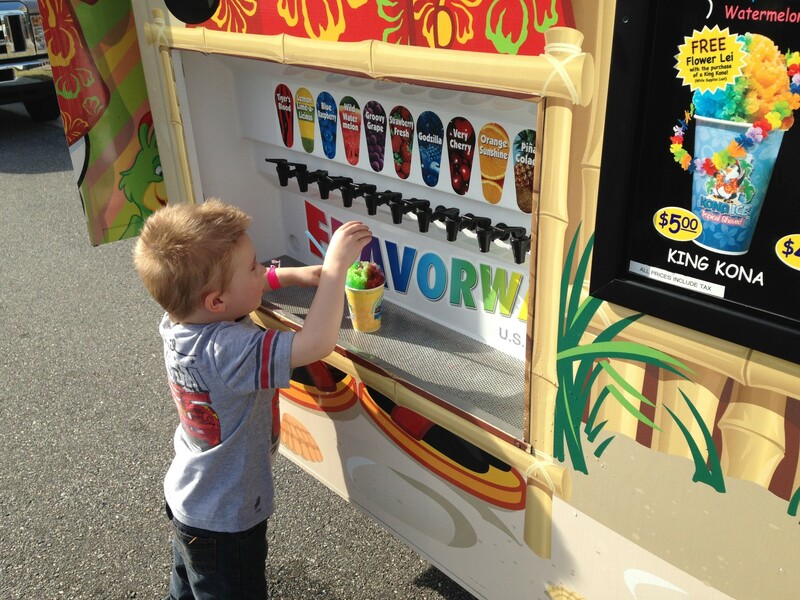 Kona has become particularly popular with the kids in Jacksonville, so expect for them to recognize this brightly colored truck and run to pick out their favorite flavor! Sausage Paradise: New to the food truck scene, but no stranger to the restaurant business, Sausage Paradise has had a restaurant for a number of years on Baymeadows Road. You’ve probably enjoyed their sausages at many events over the years at RAM, Oktoberfest, and One Spark. The owners are from Europe and create hand crafted, artisanal sausages in traditional European Style. We recently fell in love with their andouille sausage, but you really can’t go wrong with anything on the menu. Manny’s Cuban Food Truck: Is there any food more comforting than authentic Cuban cuisine and melty Cuban sandwiches? Manny’s brings bold flavors and gourmet flair to traditional favorites. They may be a newer truck to the road in Jax but we know they will wow you with their excellent customer service and delicious food! Their Cuban coffee and picadillo are can’t miss items! Full of Crepe Food Truck: Feeling a little Euro-chic? Full of Crepe food truck is serving up these delicious handheld AND handmade treats in a variety of flavors! Full of Crepe is known for shaking up the traditional crepe and adding in specials like the BLT, McCrepe, and the New Orleans (muffaletta style) but also excels in the classic sweet treats including nutella and banana, smores, eclair, and more! This is also their debut of their newly redesigned truck, so make sure to visit them! Funkadelic: One of our most veteran trucks, Funkadelic is serving made from scratch gourmet seafood, burgers, sliders, and sandwiches. Funkadelic brings a spicy, unique flair to everything they prepare. 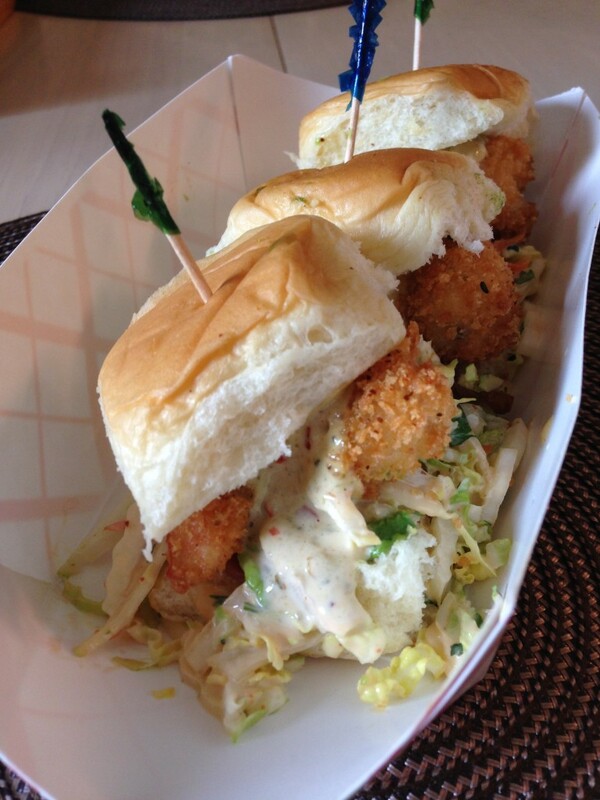 We can’t get enough of their shrimp sliders and beet fries. Their recently added Super Funk Sandwich is full of everything they’re amazing at – pork belly, fried shrimp, sriracha slaw, and more! 4 Trees Smokehouse: New to the road but not new to BBQ, 4 Trees Smokehouse is the mobile version of the long time favorite Big Oak BBQ in Middleburg. They have all your BBQ cravings including slow smoked pulled pork, beef brisket, tender ribs, and homemade sides. We always prefer a combo platter because variety is the spice of life, but also because 4 Trees delivers big flavor across the board and you won’t want to miss anything! Are you a food truck fanatic? Make sure to follow our sister brand on instagram , @findjaxfoodtrucks , to stay apprised of daily locations, new trucks to the road, fan favorites, and all upcoming events! Tagged Food Truck, Food Truck Rally, food trucks. Bookmark the permalink.